by M.C. 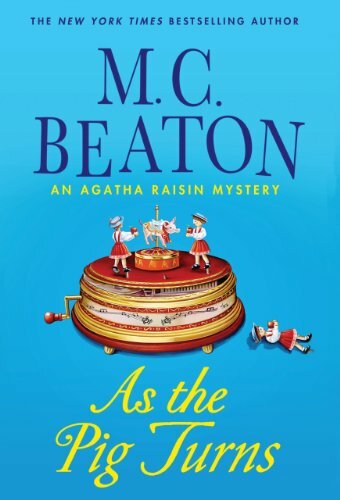 Beaton | Mystery & Thrillers | This book has not been rated. Oh what to say about this book..well, the word dire keeps springing to mind but that may be a wee harsh! For a bit of background I've read 22 of this series now & to be frank was losing interest about 6 or 7 books back! So the basis for this story (& it's all on the back cover so it's not a spoiler) is at a hog roast it's found that a body has replaced the traditional pig. Now in any other story this would warrant a bit more detail (& in many cases a lot of blood & gore!) but no, that's about all we get! As said in previous reviews, the writing style which I once found quaint, is starting to grate. It's what I call, for want of a technical term, the "he said, she said" style, a bit too blunt & to the point - pretty much like Agatha herself! Added to which it seems like it should be set in the 1950's or something. Efforts to be "current" (eg; Toni's speech, mannerisms etc mmmm....deja vu time! See this JE) are often cringe-worthy, & the two create a curious mix (& not in a good way) - the author seems to be in some sort of time warp.